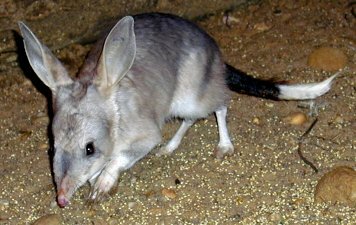 Come in and see the Bilbies and you're sure to Appreciate them too! Australia now has a National Bilby Day. 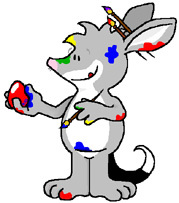 Beginning on Sunday 11 September 2005, National Bilby Day will be celebrated on the second Sunday of every September. You can see a photo of the launch here. 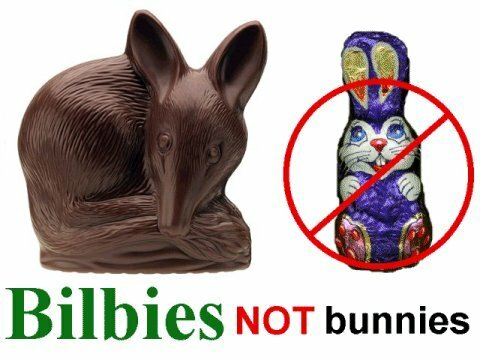 Important note: As of November 2004, The Australian Bilby Appreciation Society is winding back activities. Unfortunately, due to lack of resources (mainly time) we will no longer be replying to emails, recording member details etc. This web site will be left online as it contains useful Bilby information for students etc., however, only minimal maintenance of the site will be performed. We would like to take this opportunity to thanks the 500 members who joined online during the 6 years we kept membership records. Special thanks to the 100 groups and individuals who joined us and made a donation to the Save the Bilby Fund during the two and a half years we ran the Bilby Bonus Pack offer - your total contribution to the fund was over $2300. Finally, extra special thanks to the Save the Bilby Fund people, who do such great work for Bilbies, and treated us so well when we visited them in Charleville, and have provided much useful information since. The Australian Bilby Appreciation Society supports the work of Frank Manthey and Peter McRae and the the Save the Bilby Fund. We also support the Kanyana Wildlife Rehabilitation Centre in Western Australia and the Arid Recovery Project in South Australia. We encourage all Bilby lovers to support the Save the Bilby Fund, Kanyana and the Arid Recovery Project by making a donation and/or purchasing their products etc. More information here. 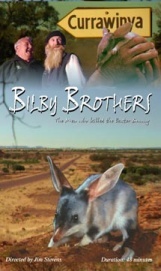 The Bilby Brothers is a documentary that tells the story of the work of Frank Manthey and Peter McRae in their efforts to Save the Bilby. The DVD is available from the Save the Bilby Fund. (Visit their website to find out more and place an order). Frank Manthey was awarded the Australian Geographic Society's 2002 Conservation award. These pages are best viewed with a screen resolution of 1024x768 or higher.